This Double Handle Tote Bag allows you to choose your preferred method of carraying with the two grab handles and two 28" shoulder straps. 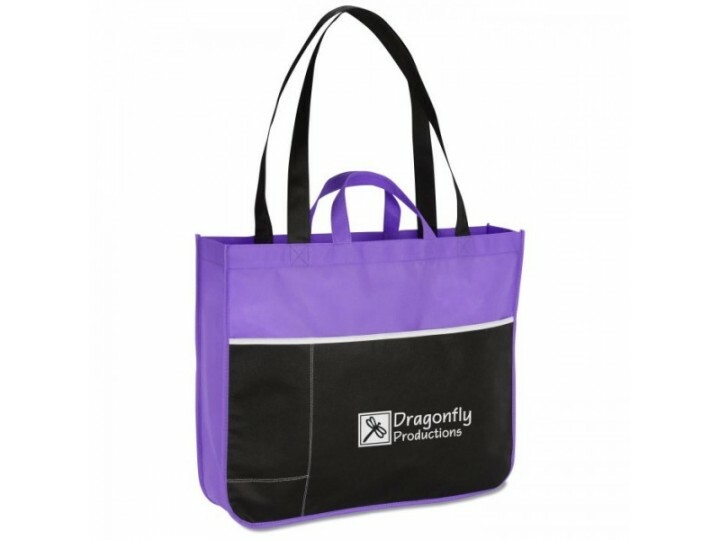 Wide gussets make this tote the perfect grocery shopping bag, trade show tote or work bag. Size:15" x 18" x 4"
Different Colors are available and customized logo is welcome. Didn't find what you want? Please drop us an e-mail,we will reply you soon. Mass production takes about 15-20 days after you the sample is approved,every Non Woven Tote Bag is normally packed each in a individual polybag.